Only a few years ago, Major Eric was piloting the military’s vertical-takeoff-and-landing aircraft, called the V-22 Osprey, into Iraq and Afghanistan. Then, in 2012, during a training mission in North Africa, his Osprey crashed. He and the co-pilot were injured, while the other two Marines on board were killed. Eric’s legs were damaged so severely that one was amputated and the other left mangled. Since the accident, he’s been undergoing treatment and rehabilitation at Walter Reed National Military Medical Center near the nation’s capital. Most recently, he has undergone special medical procedures to salvage the remaining leg. Eric, however, doesn’t let stuff like that keep him inactive. This Marine is a member of the U.S. Paralympics archery team. The Paralympics, a division of the U.S. Olympics Committee, is a sporting event for the physically disabled. And Eric is very good at his sport. He won a gold medal in archery during the first-ever Invictus Games, the international competition for wounded military personnel, hosted by England’s Prince Harry. 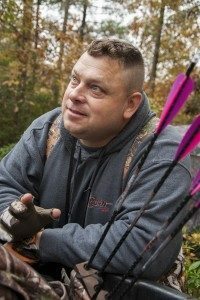 Despite the recency of his surgery and the residual drainage tubes at the incision sites, Eric was eager to leave the hospital and join Freedom Alliance on a three-day deer hunt. One of our supporters, John Garrett, owns over 80 acres in the Northern Neck of Virginia, and he invited us to take advantage. 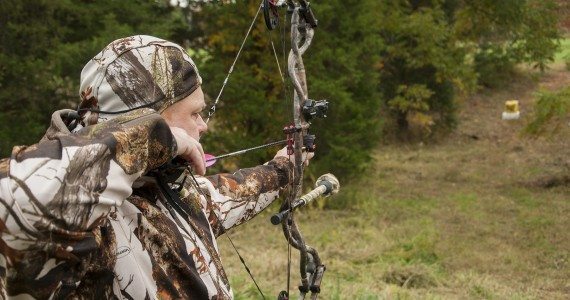 Eric brought his bow and tracked a buck through the woods, which managed to remain just out of range. Although he didn’t get that deer, it was a fun three days, during which we enjoyed getting to know Eric better. He met Colonel Oliver North, our organization’s founder, when he first came to Walter Reed for therapy. Since then, he’s been a regular participant in our activities for wounded veterans. Eric told us that his time away from the hospital was therapeutic for him. It feels good to be a partner in his recovery, and this is what we like to do for other service members like Eric. Doctors and medical staff can treat a veteran’s illnesses and injuries. Freedom Alliance can remind them who they were before the trauma—that whether retired, active-duty, or in a hospital, they still are that person … and our hero.